Cardi B is confident she's a good mom to her and husband Offset's baby girl Kulture, who she calls her "little best friend." 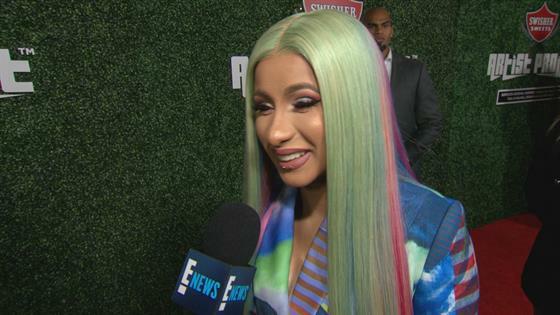 The 26-year-old "Money" rapper spoke to E! News about mom life and her career on Friday at the the Swisher Sweets Awards in West Hollywood, where she was honored with the Spark Award, an honor tied to The Artist Project initiative. "She is so fun, she is cool, like, I love her, she's like my little best friend," she said about 9-month-old Kulture, her only child. "She just makes the gloomiest days like sunshine. I love it. It's is slice of heaven." "I am getting gifts. Hopefully, I get a cute gift for Mother's Day," she told E! News. "I'm a good mom. I'm good at a lot of things. The best job is a mom. I'm really good at being a mom." 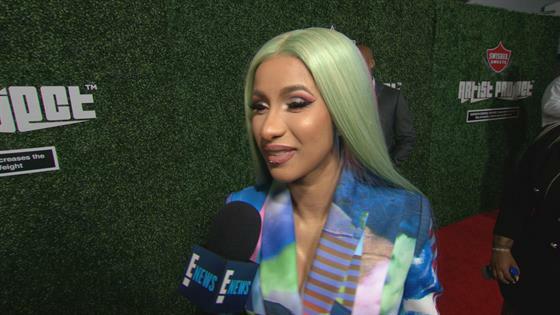 Cardi said that being a working mother is "very challenging," as she initially thought she would hire a nanny, but changed her mind. "You're scared to get a nanny because you don't want anybody around them," she said. "You cannot just travel with your baby all the time, like they get sick." Hours after the award show, Cardi headed east to Indio, California and gave a surprise performance at the 2019 Coachella festival, joining Selena Gomez and Ozuna and scheduled performer DJ Snake to perform their hit "Taki Taki." Cardi had performed at Coachella the year before while she was pregnant with Kulture. Meanwhile, Cardi, a former exotic dancer, is also filming the stripper movie Hustlers with Jennifer Lopez. The film marks the rapper's big screen debut.